Dunlap played minor league professional basball for eleven seasons. In 1953, he played in 16 games for the St.Louis Cardinals. 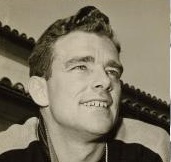 Dunlap was head baseball coach at Occidental College from 1954 until 1970. Grant Lester Dunlap Born: Dec 20, 1923 Died: Sep 10, 2014 Hometown: Stockton, Ca.